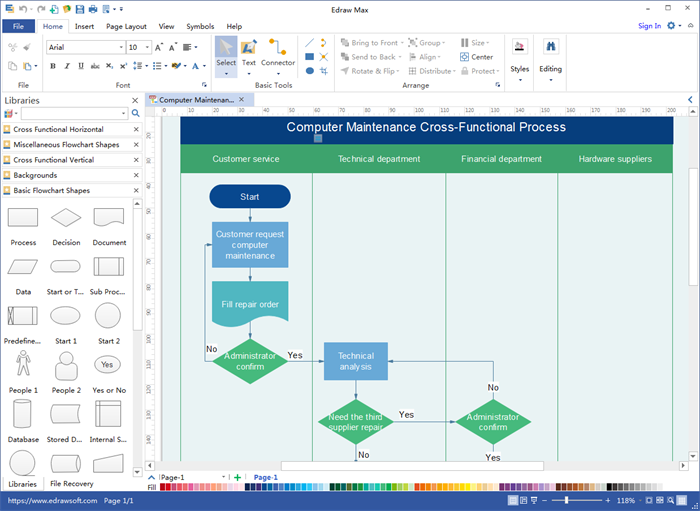 Edraw Max, a flowchart maker, is designed specifically for the purpose of creating and exporting flowcharts to Power Point. PowerPoint is usually used for slideshows and presentations, it can also be used to sketch out flowcharts. A way to make a flowchart for PowerPoint, and export flowchart to power point will be introduced in following guide. Edraw Max is an easy-to-use flowchart program with a rich set of special symbols and shapes for you to make flowcharts. 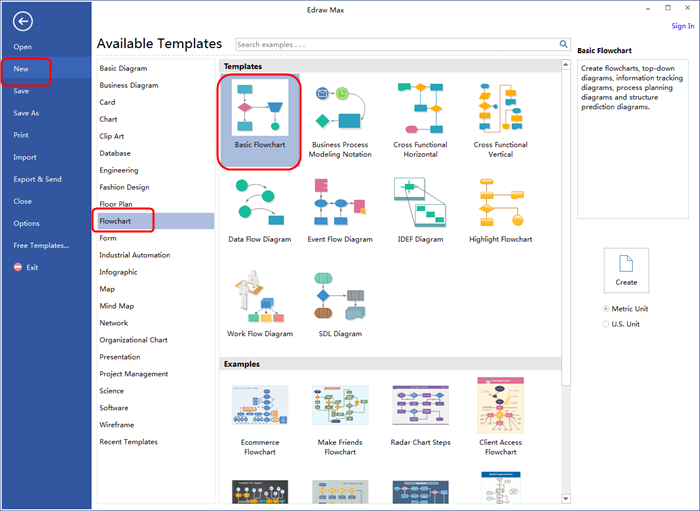 Its export capabilities allow you to export your flowchart to PPT. 1. Go to File menu>New>Flowchart, and then double click Basic Flowchart to open a blank drawing page. 2. 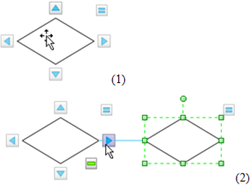 Drag and drop flowchart shapes onto your drawing page. 3. Connect two flowchart shapes and add flowchart contents. Shapes are connected automatically by clicking the floating action button to generate connectors between two shapes. To add text content to a shape or connector, double click it, and then type. Now, a flowchart for PPT has finished. 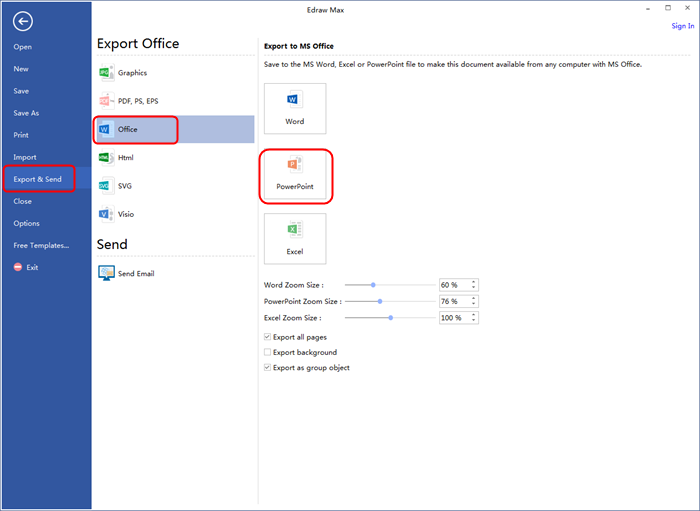 Once the flowchart is completed, simply select Export & Send under File menu to export the flow chart to Power Point format.